A suspended steel cone failure. Marietta Silos was called in to perform an inspection and determine the cause of failure in the silo pictured above. 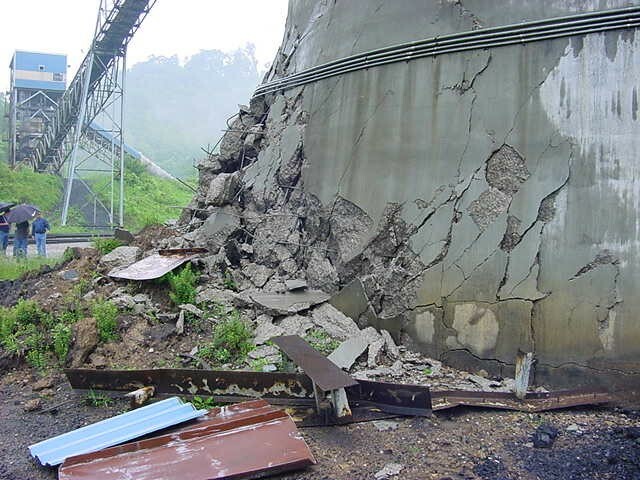 After expert examination, we concluded the failure was a result of the suspended cone breaking loose from the silo wall; the cone fell straight down destroying all the discharge equipment below and blowing out the silo wall. Due to the damages, the silo was deemed unrepairable. As a result, the mine faced significant financial losses and closed operations. 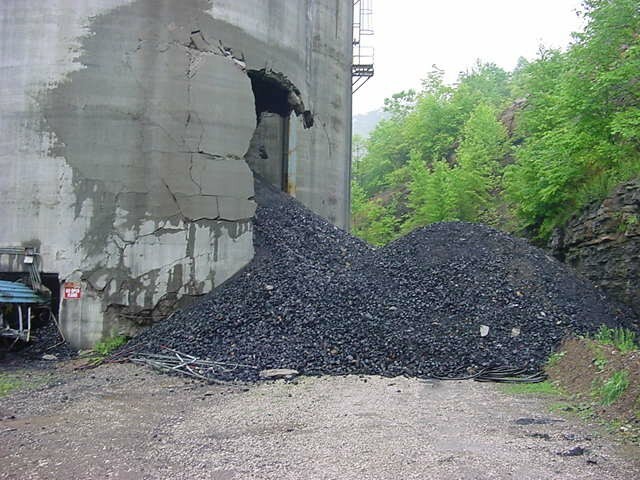 Silos constructed with suspended cone construction need to be inspected at a minimum annually. New silo construction design rarely utilizes the previously acceptable suspended cone construction. It is imperative that silos constructed with this ‘old’ construction design be inspected annually at a minimum to insure their structural integrity. A Division of Marietta Group. Serving America Since 1916.